The draft master plan for the unfunded El Caballo Park includes new corrals (14), bull corrals (18), pens (19), bleachers (2), ticket booth and restrooms (4), announcer's stage (10), and band stand (11). 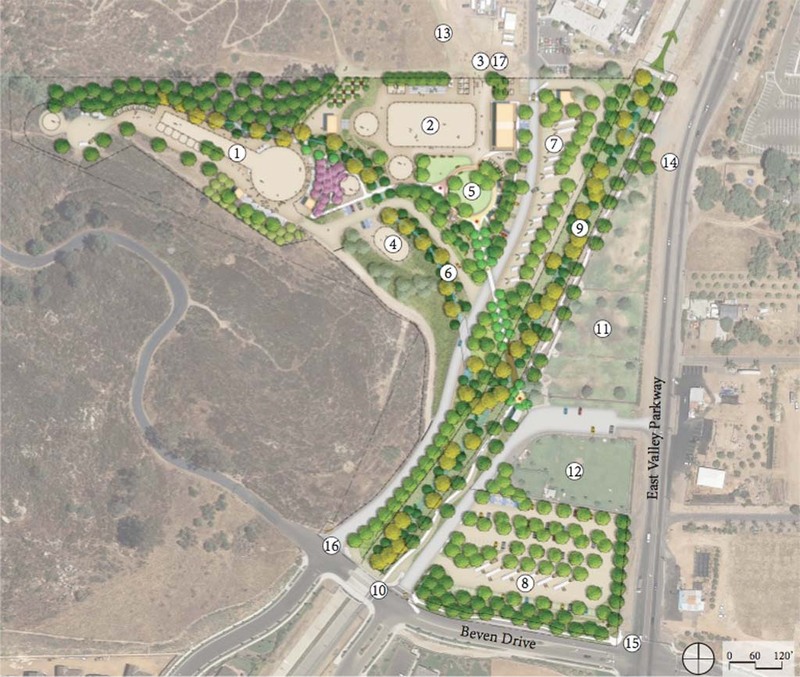 Image courtesy of the City of Escondido and Wynn-Smith Landscape Architecture, Inc.
ESCONDIDO — After months of community resistance against the city’s plan for a facility site and advocacy for an equestrian park, the draft master plan for the proposed El Caballo Park is trotting towards City Council for official authorization. But without any municipal funds set aside for the project, council’s approval would ensure the start of fundraising, not construction. Located at 3410 Valley Center Rd., the proposed park site is surrounded by Daley Ranch, the Escondido Humane Society, Eureka Springs housing development, and East Valley Parkway. The Escondido Water Treatment plant is adjacent to the site as well. For over 40 years, the undeveloped land has been used by the Asociacion de Charros de Escondido to host Mexican-style rodeos and choreographed horse shows. In 2011, the city revoked the equestrian group’s lease and set forth plans to tear down the arena and park utility trucks on the site. But community groups and nearby homeowners came out in droves to oppose the project. “It was going to be kind of an ugly blight,” said Rick Paul, who is on the board of directors for the Friends of Daley Ranch. Citizen groups including Friends of Daley Ranch, Save the Caballo Trail, Eureka Springs Homeowners Association, Charros de Escondido, and Friends of the Escondido Humane Society joined forced as what eventually became the El Caballo Park Conservancy to propose a new city park instead. “Bottom line, I think it’s a more valuable piece of property for the city as a park than a maintenance facility,” said Steve Berrol, the president of the nonprofit Conservancy. City Council eventually acquiesced to the community’s request and designated $50,000 in 2013 to develop a draft master plan for the park. The selected firm, Wynn-Smith Landscape Architecture, Inc., recently completed the draft master plan, incorporating community input collected at three workshops. The resulting proposal maintains an equestrian focus and includes improvements to the existing arena, new pens and arenas, grass play and picnic areas, community hall building, and a connection to the Escondido Creek Trail. The plans also make use of native plants to enhance the surrounding natural habitat. All of the facilities can be rented so to offer potential cost-recovery options for the city. Estimated costs of the proposed project total over $9.7 million. 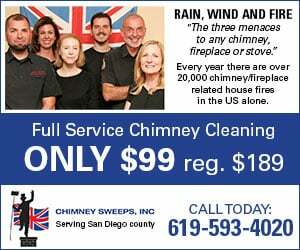 The proposal was unveiled at the Escondido Community Services Commission meeting on Jan. 23 to the praise of commissioners and the public. “I’m very happy with the result. I think it does a great job of blending the community’s different requests into one plan,” Paul said. Members of the El Caballo Park Conservancy stated that they weren’t fazed by the price tag that comes with the proposed park design. Both Berrol and Paul mentioned that the great amount of community interest in the project has already led to multiple offers of donated materials and services to construct the park. The draft master plan is scheduled to come before the Escondido Planning Commission in February and subsequently will go to City Council for a final vote.